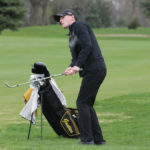 In the final event of the season Sunday, the Gustavus men’s golf team jumped up two spots at the Saint John’s Spring Invitational, finishing in sixth place of 16 teams with a two-round total of 601 (+29). 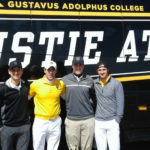 The Gusties shot 307 in Saturday’s first round and improved to 294 in Sunday’s second round. Sunday’s third round was cancelled due to inclement weather. The Gustavus women's golf team wrapped up its regular season by turning in a team score of 333 to finish in seventh of 11 teams at Bellwood Oaks Golf Club on Saturday at the Carleton Invitational. The No. 21-ranked Gustavus men's tennis team won 7-2 at the University of St. Thomas Saturday afternoon to remain unbeaten during Minnesota Intercollegiate Athletic Conference play and earn its 51st all-time and 29th-straight title in program history. The Gustavus women’s tennis team saved its best match of the season for last, ending the regular season with a 7-2 win over previously unbeaten St. Thomas. The win improves the Gusties to 17-7 overall and 9-1 in the Minnesota Intercollegiate Athletic Conference, while the Tommies fall to 14-1 overall and 8-1 in the league. 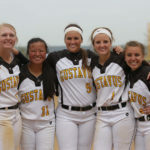 The Gustavus softball team closed out the regular season with an exciting sweep over Carleton College Saturday afternoon at Gustie Softball Field, shutting out the Knights 3-0 in game one before an 11-inning 8-7 thrilling win in game two. The Gustavus men’s golf team carded a first round score of 307 (+19) Saturday at the Saint John’s Spring Invitational, played at Territory Golf Club, and sit in a tie for eighth place out of 16 teams. Host Saint John’s leads the field after day one with a 292, while Augsburg and UW-Eau Claire are tied for second at 295. 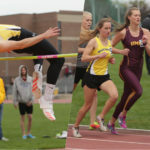 The Gustavus men’s and women’s track & field teams hosted the 17th Annual Drake Alternative meet Saturday and produced a number of first place finishes. A strong contingent of Gustavus alumni, affectionately known as “Rusty Gusties,” also competed and had a strong showing. 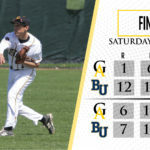 The Gustavus baseball team suffered a doubleheader sweep at Bethel University Saturday, falling by scores of 12-1 in game one and 7-6 in the game two. The losses drop the Gusties to 19-15 overall and 7-9 in the Minnesota Intercollegiate Athletic Conference, while the Royals improve to 28-6 overall and 13-3 in the league. 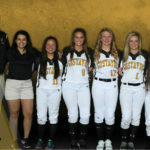 The Gustavus softball team closes out the 2017 campaign on Saturday, hosting a Minnesota Intercollegiate Athletic Conference doubleheader against Carleton College while the Gusties honor five seniors. The No. 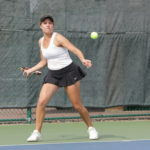 39 Gustavus women’s tennis team shut out St. Olaf 9-0 Friday. The win improves the Gusties to 16-7 overall and 8-1 in the Minnesota Intercollegiate Athletic Conference, while the Oles drop to 7-9 overall and 2-8 in the league. The closest match of the day occurred at No. 1 singles as the No. 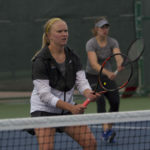 20-ranked doubles team of Michaela Schulz (Sr., Elk River, Minn.) and Ally Baker (Jr., Rosemount, Minn.) defeated Margaret Zimmermann and Erin McDonald 9-7. The other two doubles were clean sweeps, while the Gusties’ singles didn’t allow more than three points in a set.